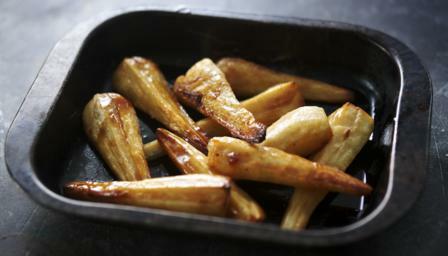 A generous glug of maple syrup makes all the difference in Nigella Lawson’s easy roast parsnips recipe. Pour the maple syrup over the parsnips and transfer the roasting tin to the oven. Roast the parsnips for 35 minutes, or until they are tender and golden-brown.